This course is provided as a follow up to the beginners course. 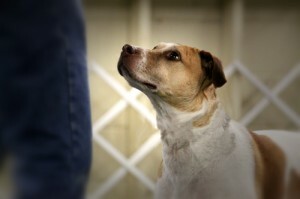 In this class handlers are offered an opportunity to refine the basic skills and build new ones. Dogs begin to master the obedience commands and demonstrate reliability and consistency .The CGC is offered when the dogs are proficient in the skills to pass the test. All dogs are eligible purebred and mixes.